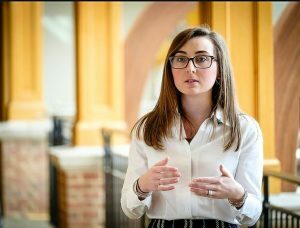 The C. H. Richards Award for Excellence in Political Science is given to the graduating senior who is deemed by a departmental committee to have excelled in both the study of politics and in departmental, campus and community service. In 2019 the C.H. 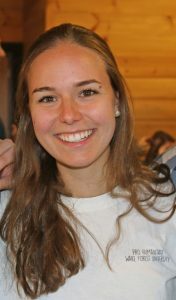 Richards Award for Excellence in Politics and International Affairs was given to Riley Mistrot. Riley looks forward to continuing on at the American Enterprise Institute’s Critical Threats Project as she pursues full-time opportunities in intelligence analysis. The Jack D. Fleer Award for Excellence in Honors in Political Science is given to a graduating senior who has qualified for Honors and who is deemed by a departmental committee to have written the best senior seminar paper. Thomas Poston is the recipient of the Jack D. Fleer Award for Excellence in Honors in Political Science. 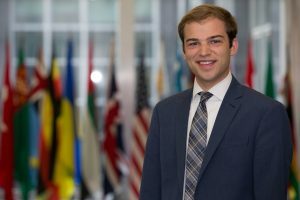 His senior seminar paper was entitled “Exceptional Environmentalism: American Culture and the Fate of Multilateral Environmental Agreements.” Thomas took a position at Deloitte Consulting. Future plans involve attending Law School. The Carl Moses Excellence in Research Award honors an outstanding senior seminar paper. 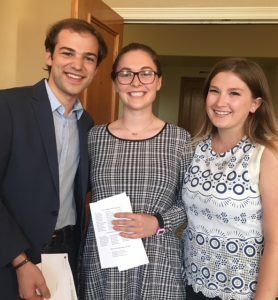 Olivia Blute received the Carl Moses Excellence in Research Award for her paper “How Methods of Media Consumption Influence Citizens’ Views on Immigration”. 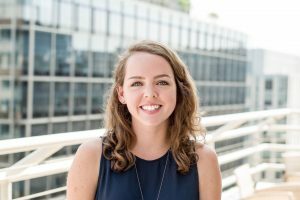 After graduation, she will be moving to Washington, D.C. to work for a political data consulting firm, conducting data analytics for a wide variety of political campaigns and corporate clients. The Jack D. and Martha H. Fleer Scholarship Award is given annually to one or more graduating seniors. The scholarship recipients are selected by a departmental committee which gives special attention to meritorious performance in the major and provides a contribution towards student loan relief. Starting in early July 2018 Lainie Noonan will be working at Morgan Stanley New York in the Sale and Trading Analyst Program. 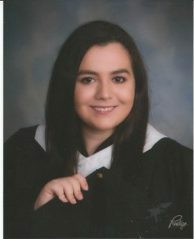 After graduation Priscilla Vasquez will be moving back to her hometown of Tampa, FL to work as a legal assistant specializing in dependency and family law.